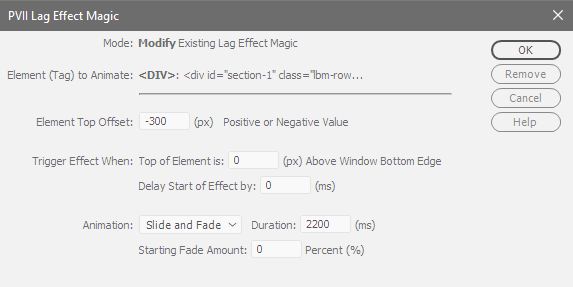 Lag Effect Magic gives you the ability to animate any element on your page, be they DIVs, paragraphs, lists, images, or links. Of course, since this is a PVII extension, you can orchestrate your animations from within a graphical user interface that installs and runs inside Dreamweaver. It's the closest thing to having an amusement park inside your web page.